Analyze the quality of your requirements while you are writing them, avoiding ambiguous specifications to be sent across the organization. Most errors in systems development stem from poorly written, ambiguous, and inconsistent requirements. Visure Quality Analyzer is based on QVscribe for Visure technology, to help engineers increase the clarity, consistency, and quality of their technical documentation. Assessing the quality and clarity of your requirements early is essential for the success of your development – and it shouldn’t be much harder than spellcheck. 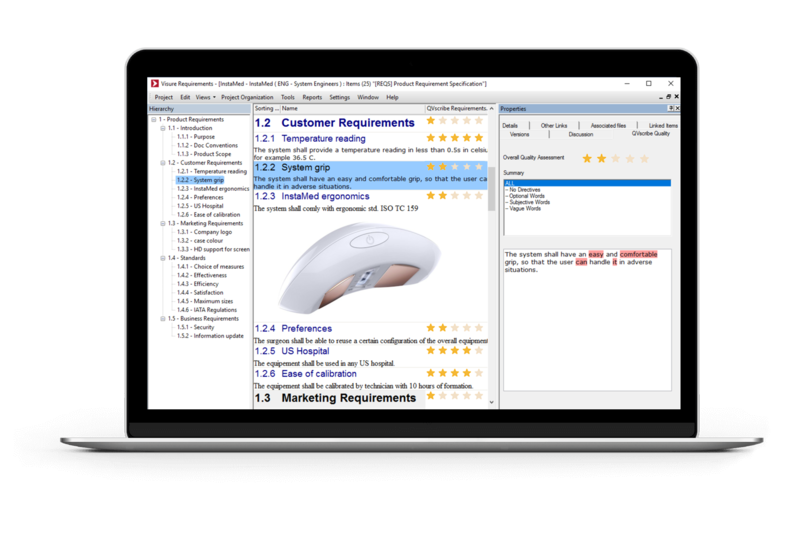 Visure Quality Analyzer scores requirement quality with a 5-star ranking for easy results visualization & powerful analysis. Ambiguity has become an epidemic within today’s complex requirements documents. The Natural Language Processing engine in Visure Quality Analyzer seeks out potential areas for ambiguity – greatly improving requirements usability & increasing project management success. The good, the bad, and the ugly – Visure Quality Analyzer shows exactly which requirements need attention after analyzing against 8 quality indicators. 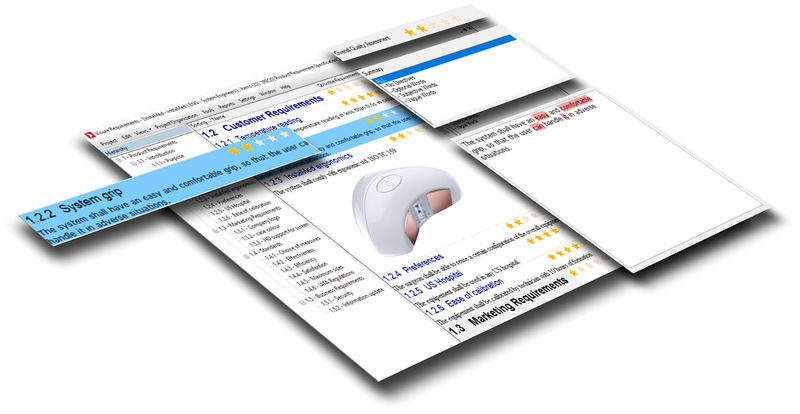 The results are viewed and managed in an interactive scorecard highlighting incorrect terms within the requirement’s text – directly for the quality tab in Visure Requirements. Visure Quality Analyzer allows to save custom quality triggers and phrases for use across documents to ensure consistency & best practices across the organization.